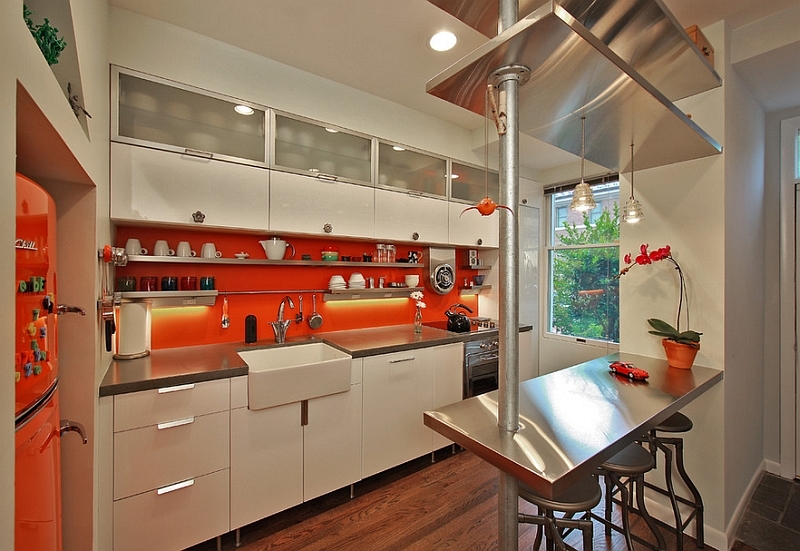 Home > Décor & Furnishings > Colorful Kitchens That Wow! Everyone loves colorful kitchens, but the idea of being married to a color for a long time scares most people. There is a way to have color, enjoy it for as long as you want and redo it easily when you tire of it. Tile pricing is all over the board and doesn’t have to cost a lot and could be a great way to introduce some extreme color and patterns to the kitchen. Colorful kitchens should be created with a balance and by anchoring, the bold wall with calmer finishes throughout works. 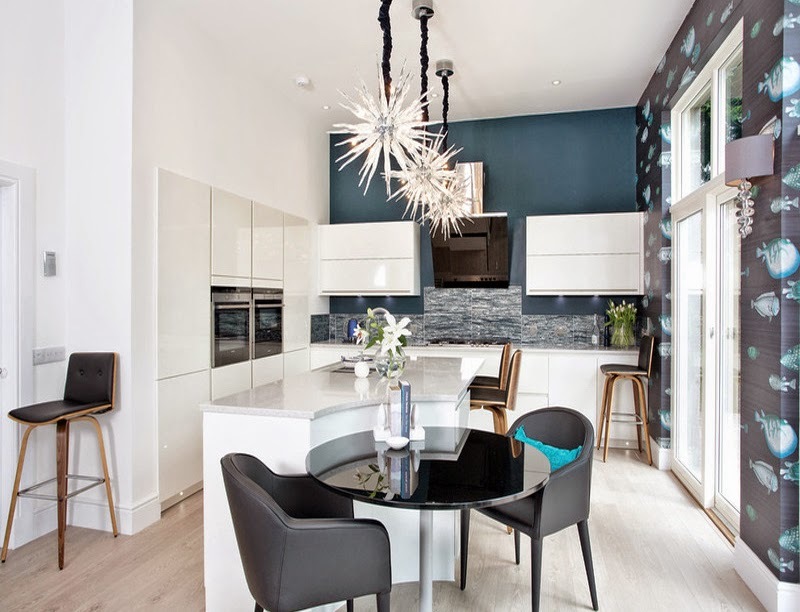 Paint is an inexpensive way to add excitement to your kitchen décor and if at any point you don’t like the effect, change it and you have a whole new kitchen. 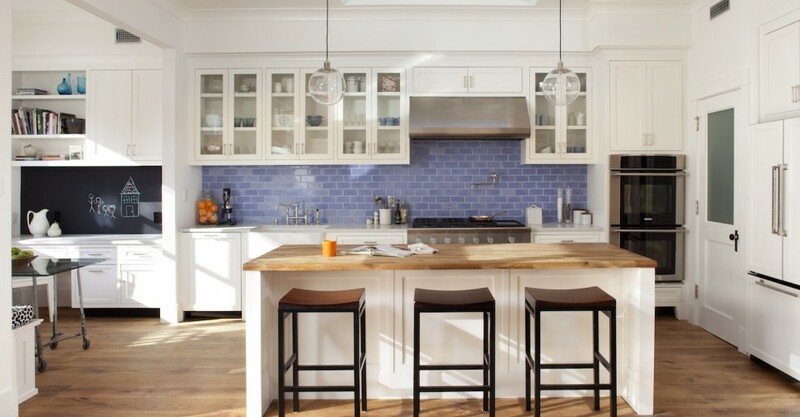 White cabinetry is great for this because any color paint will be a standout next to it, making a big impact. I like what this designer did with the backsplash by using glass and giving a little dimension to the flat painted wall. Wallpaper is trending and is an easy way to bring any kitchen to life. Wallpaper is a designer’s best friend because it allows us to really bring in the clients personality. Today’s wallpaper offerings are so unique, they are not just made with paper anymore. 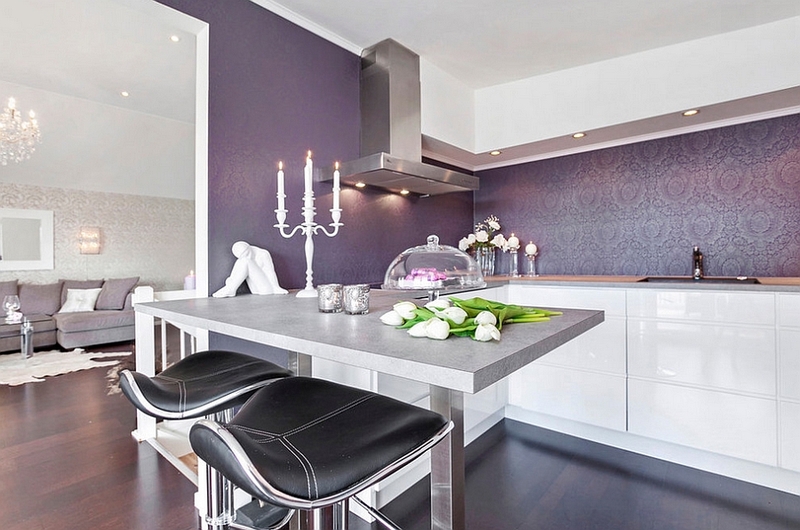 Wallpaper with digital images, metal and glass are available and offer a unique finish to any kitchen design. The backsplash is such a powerful element to the kitchen design because it is the vertical surface at eye level. It is important to think about the style you are trying to create in your new kitchen when considering the backsplash. This area is perfect for bold color and creates a “wow” factor. 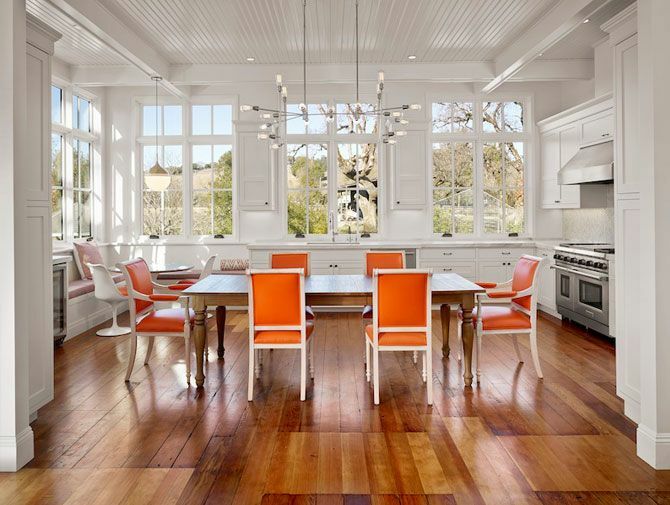 Pop color with kitchen chairs. This is where you can have fun introducing colors into your kitchen and they do not have to be new. Finding vintage chairs that have interesting bones and painting them as a DIY project can also make a conversation piece. You might want to see my post on painting fabric chairs with chalk paint.